Russia must scrap its nuclear-capable cruise missiles and launchers or modify the weapons’ range to comply with the INF treaty. This is what a senior US official said on Thursday. Previously, Russian Foreign Minister Sergei Lavrov said that the US attempt to “bury” the treaty creates new risks for Europe. Moreover, EU Representative of Foreign Affairs and Security Policy Federica Mogherini said that the INF Treaty was key to the EU’s and global security. Sputnik discussed this with Götz Neuneck, head of the Interdisciplinary Research Group on Disarmament, Arms Control and Risk Technologies, as well as deputy director of the Institute for Peace Research and Security Policy at the University of Hamburg. Sputnik: In your view, how justified is the US call for Russia to modify, or scrap its missiles? Götz Neuneck: I think, this is a long story. 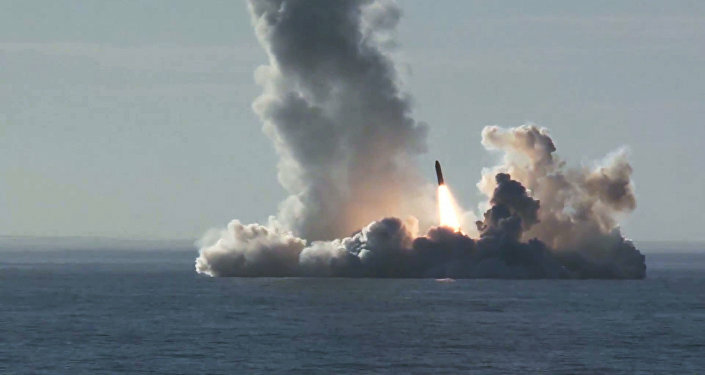 Since 2014, the US, also under the Obama administration wanted to have more clarity about two systems, or at least one ground-based cruise missile, which has to be deployed soon by Russia; and the Russian government made some explanations, but the facts are somewhat unclear. So, I think, the West should simply be more open about what the intention, the technical parameters of these systems are, which might be in violation with the INF Treaty. 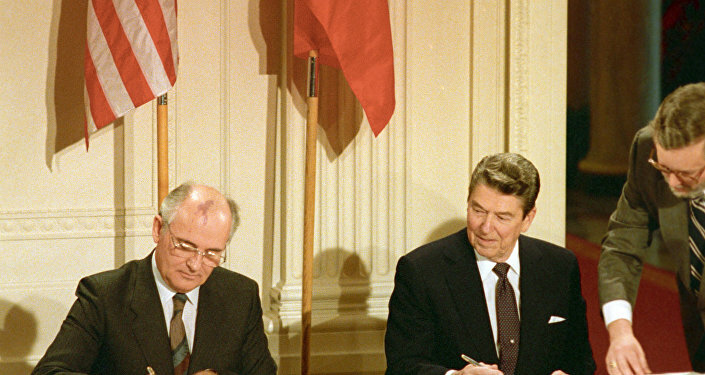 The INF Treaty itself is now more than 30 years old and military technology always develop further. So, it would be high time that both sides sit together and study the facts. Sputnik: I understand that there is actually a mechanism in the treaty itself to determine compliance. Why was that not used? Why wasn’t there an official request to examine that and determine whether or not this missile was in compliance? Götz Neuneck: We also ask ourselves as independent analysts why that was not so much used? There have been two meetings. We should have in mind that these are not bilateral meetings, but of the successor states of the treaty, including Belarus, Russia and Ukraine also take part. One can imagine that this is much more a political debate than a technical debate. So, it would be better, if Russian and American specialists are sitting together and studying the details. We established a commission, a trilateral Russian, American and German commission of high-ranking experts and we [have been making] the proposal since 2 years [back] that the government should leave those two specialists to study what the details are. It is understandable that governments are reluctant to publish data on these kinds of systems, but Russia claims that the missile is beyond 500km. To determine the range of a cruise missile is a complicated thing, because it could have many projectile trajectories and mission profiles. It would be very good if Russia could demonstrate what the system is all about and could give some more details and some more information, and let independent scientists look at it and try to solve the problem; because in effect, we should be careful. This whole thing is very dangerous, because these systems can also be equipped with nuclear weapons and it is more or less understandable that governments see that as a future threat. Exactly that would be done by the Russian government too, if NATO would deploy new ground-based cruise missiles. So, I think, we need more transparency. We need confidence and under the current climate that is very hard to achieve, obviously. Sputnik: How hard is it for Russia to even offer, or volunteer information on this missile, when there hasn’t been an official exercise of the mechanism? Götz Neuneck: Russia doesn’t have to open up the files to the public, it only has to open up and make convincing arguments that these systems are not a threat to Europe. They are very sensitive about medium-range ballistic missiles. They are more or less prohibited by the treaty and there are voices in the US as well as in Russia, which say: we’re constrained too much; we have future other threats, like in the Asian Pacific, we need these kinds of systems. But these systems have been successfully destroyed: 2,700 of them after the end of the Cold War. This is really a landmark treaty, which obviously decreased the nuclear threat in and around Europe. I think the accusations are technical. This can be solved if both governments are open. I understand the Russian position, they also claim that the US is deploying missile defence, they will also want to discuss that. That failed several years ago, unfortunately, but we should also have in mind that if these systems are deployed, then this would be the best argument for missile defense proponents to deploy new systems. So, the danger of a new arms race is looming and I think it is not in interest of anybody to multiply the nuclear threat and to stick in a new arms race. Sputnik: The EU has really stressed the importance of the treaty. If the US does pull out of the treaty, what’s going to happen in Europe? Is there a strong enough voice and a strong enough lobby to really put pressure on the US to stay in this treaty? Götz Neuneck: I think there isn’t even strong enough pressure on President Trump to make this or that decision. Unfortunately, the US government is not interested in treaties any longer which are in the interests of Russia; they define the interests in another way. In that situation, I think, Europe has to consider in a thorough way what they want. There are people, which are clearly against a new deployment. Both sides want to have more clarity. So, why is Russia not inviting European specialists to make an exhibition about these possible non-compliances? Sputnik: How is this affecting US-EU ties so far? Götz Neuneck: Europe has a problem, you know. There are people saying that the biggest security problem is Russia, because of the Ukraine, because of not being capable to find new ways for arms control and disarmament; but the US also, it seems to ignore any future arms control steps. I think the Europeans should put maximum pressure on the United States to extend the New START Treaty. Views and opinions expressed in this article are those of Götz Neuneck and do not necessarily reflect those of Sputnik.